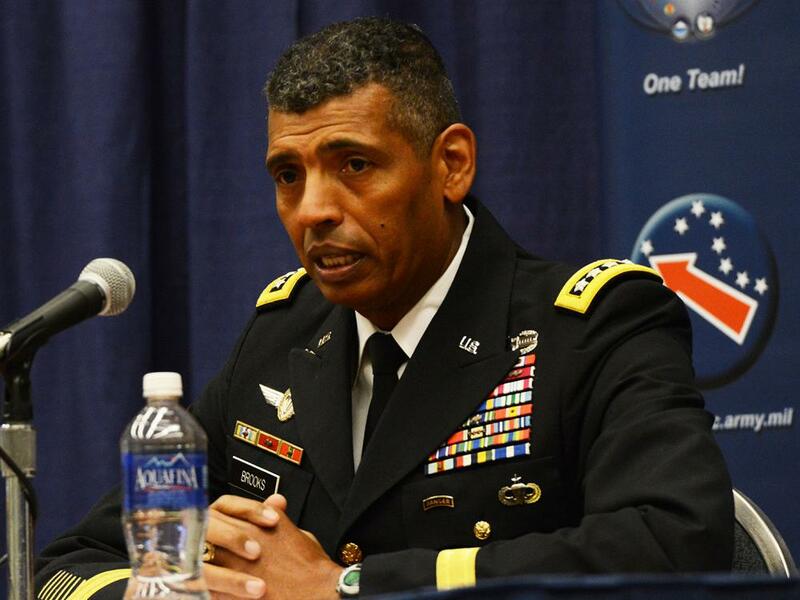 Vincent K. Brooks is a distinguished general in the US Army and is currently the commander of the UN Command, Combined Forces Command, and US Forces Korea. He was born on October 24, 1958, in Anchorage, Alaska, to Leo Brooks Sr., an army general, and Naomi Brooks, a schoolteacher. Brooks’s family history in the United States is very rich. In 1908, an ancestor from his mother’s side named Nellie Quander helped found the first African American sorority, Alpha Kappa Alpha. His father’s ancestors can be dated back to a slave who was traded in Alexandria, Virginia, sometime in the 1830s. During his youth, Brooks moved around frequently due to his father’s active-duty status in the army. Brooks attended Jesuit High School in Sacramento, California, and while there, excelled at basketball and track. Upon graduating in 1976, Brooks chose to follow in his older brother’s footsteps and enrolled in the US Military Academy at West Point, New York. In his senior year, he served as the Cadet Brigade Commander, the highest military leadership duty a West Point cadet can hold in the US Corps of Cadets. With this appointment, Brooks became the first African American chosen for this position in the school’s history. He went on to earn his bachelors of science degree from the institution in 1980. On May 28, 1980, Brooks was commissioned as a second lieutenant in the 82nd Airborne Division in Fort Bragg, North Carolina. He obtained the rank of first lieutenant in November 1981 and became a captain in January 1984. Brooks would go on to lead commands several times and on multiple occasions. These commandments included: two infantry companies in Germany; the Second Battalion of the Ninth Infantry, Second Infantry Division in the Eighth Army in Korea; a heavy brigade deployed to Kosovo; two divisions in relation to Iraq; and two theater armies. During the Iraq War, Brooks was named the chief operations spokesman. He conducted daily military briefings on the progress of the coalition troops in the effort to topple the Iraqi Army of Saddam Hussein. In May 2004, he was promoted to brigadier general. With this appointment, he joined the ranks of his brother Leo Jr., who had been promoted to brigadier general in 2001. The Brooks family became the first African American family to have three generals in two generations (his father had also obtained that status). On April 30, 2016, Brooks assumed command of the UN Command, Combined Forces Command, and US Forces Korea. As such he commands all US and Allied Forces on the Korean peninsula. Brooks is married to Dr. Carol P. Brooks, a physical therapist. They currently reside in South Korea. “Brig. Gen. Leo Brooks, Jr.,” The History Makers, http://www.thehistorymakers.org/biography/brig-gen-leo-brooks-jr; “Brooks, Vincent K. (1958–)—Army Officer, Spokesperson, Joins the Military, Serves during Second Iraqi War, Chronology,” Online Encyclopedia, Net Industries, http://encyclopedia.jrank.org/articles/pages/4135/Brooks-Vincent-K-1958.html; US Department of Defense, “Brooks Takes Command of UNC, CFC, USFK,” US Department of Defense, https://www.defense.gov/News/Article/Article/746802/brooks-takes-command-of-unc-cfc-usfk/; US Forces Korea, “Commander UNC/CFC/USFK,” United States Forces Korea. http://www.usfk.mil/Leadership/Article-View/Article/587687/commander-unccfcusfk/; Virginia Foundation for the Humanities, “Franklin and Armfield,” African American Historic Sites Database, Virginia Foundation for the Humanities, http://www.aahistoricsitesva.org/items/show/157.